MSR Electronic in Germany which is already a leader in gas detection systems for car parks were looking for other systems they could design & manufacture for car parks. From here MSR Traffic was born! MSR Traffic’s Outdoor Car park Detection is a totally wireless solution. The system Outdoor Car park Detection system includes wireless sensors which must be placed at every car spot. The Outdoor Car park Detection sensors must be placed in level with the road surface. The Outdoor Car park Detection sensors have a life of 10yrs after which they just need to be replaced! The Outdoor Car park Detection sensors communicate wirelessly back to the receiver mounted on the a light pole. The Outdoor Car park Detection receiver runs on a rechargeable battery during the day time and when the street light is powered on in the evening the battery recharges itself. A solar panel option is also available. Everything in the Outdoor Car park Detection system can be relayed back to a PC front-end showing you a live status of the available spots in your car park. If you have a MSR Gas Detection System controller, these readings can also be imported for a live overview of your entire car park! 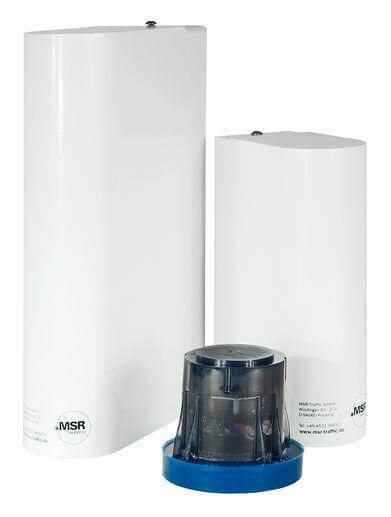 MSR Traffic is the only Outdoor Car park Detection system which couples car park navigation with car park gas detection.